OneRooftop’s Vacation Rental Channel Manager Distributes Your Listings to More Places and More People. Vacation rental managers who choose OneRooftop can list their properties on more sites and book guests with confidence. OneRooftop’s channel manager is always working, so you don’t have to be. Manage your listings for traditional vacation rental channels like HomeAway, Airbnb and TripAdvisor. But with OneRooftop’s connection to Booking.com, Expedia and more you can expand your reach towards new opportunities. Save time and update your rates, availability, and photos from one place. Our trained consultants help you choose the most profitable channels. Simple pricing. No extra cost to list on more channels. Professional reporting tracks and measures a property’s success. 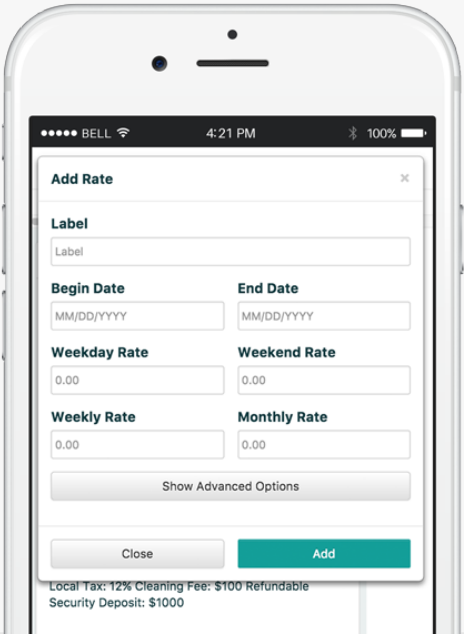 Sync your availability and rates so travelers know what they can book. 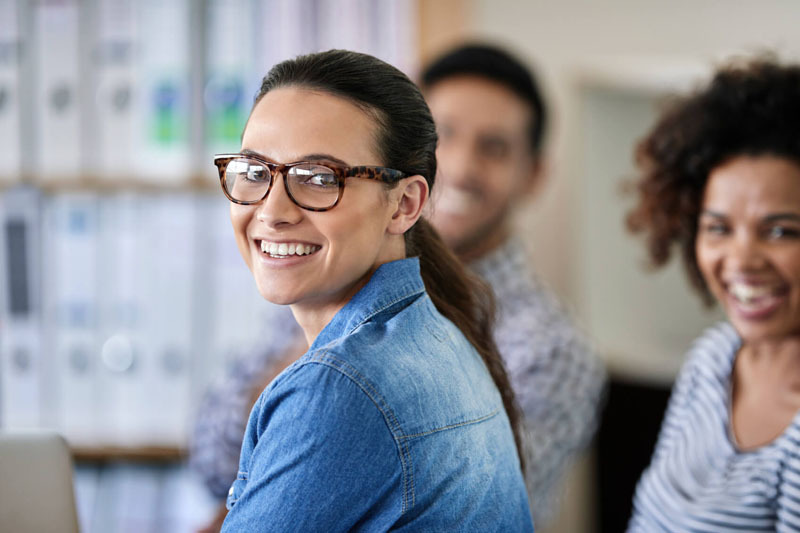 Work with a team that understands the nuances of each channel. Fill more nights and never worry about double-booking. A direct integration to the most popular OTAs and vacation rental listing sites ensures you get more bookings without double-booking your property. We do this together, OneRooftop’s Activation Team is comprised of industry experts, technical coaches, and most of all-real humans who are only a phone call away. When you sign up our team is here to help. Can I synchronize my calendars across channels? Here are just a few of the listing websites that sync with your OneRooftop property calendar. HomeAway, Airbnb, TripAdvisor, Flipkey and VRBO. Through the Channel Manager, you can synchronize not only availability but also rates, content and images. What channels are available with OneRooftop? 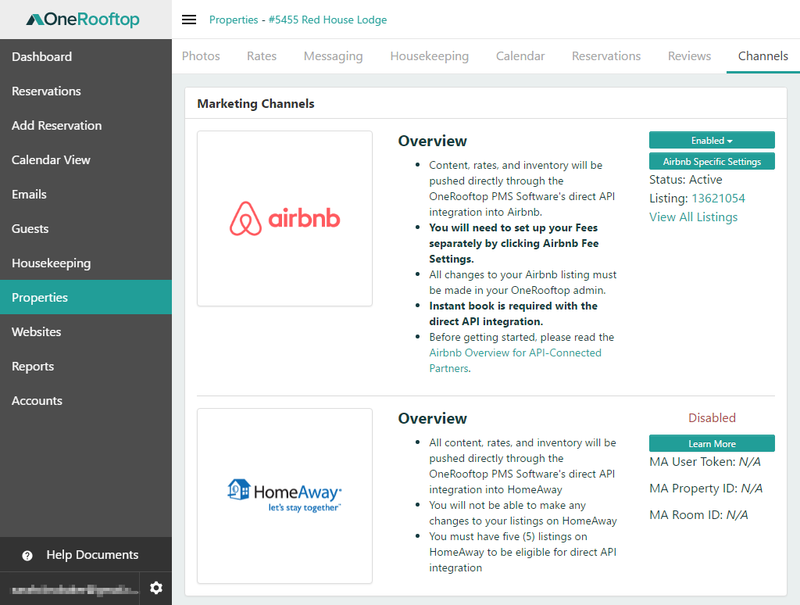 OneRooftop’s powerful vacation rental channel manager hooks into Airbnb, HomeAway, Booking.com, Expedia, TripAdvisor, and more. Because each channel is different, it’s best to speak to a hospitality specialist to discover which channels are the best fit for you. Will this platform block off my booked dates? When guests book through OneRooftop this will automatically block of those dates to other potential inquiries. OneRooftop’s channel manager will update your other listing sites too! Does a channel manager redirect people from an OTA to my website? No. Bookings still occur on the listing site where the guest found your property. However, when you log in to OneRooftop’s admin you will see all your reservations in one place, no matter where they came from. 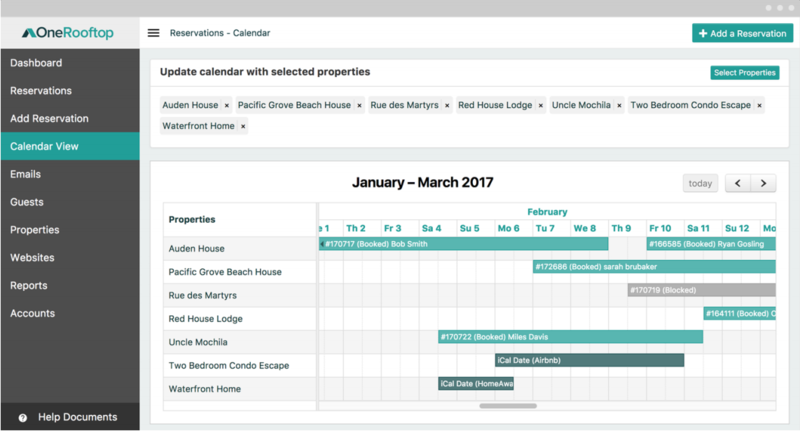 A channel manager centralizes the operations for your vacation rental business. Sync and manage your availability calendars, rates, photos, and communications all from one platform. Using a channel manager means booking your properties even more with less manual work. You have full access to OneRooftop’s vacation software for a 15-day trial. No credit card required. 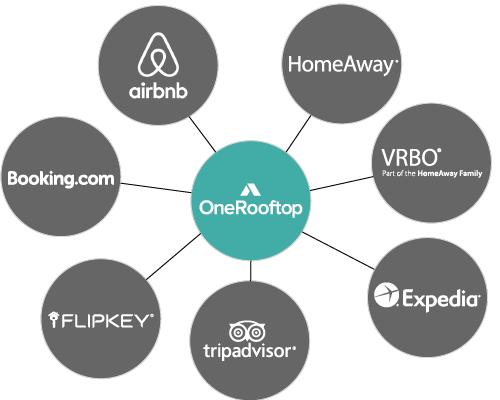 OneRooftop is a comprehensive vacation rental software solution that allows you to set up a website, directly book your properties, and manage all your reservations from different channels. Every OneRooftop account comes equipped with a powerful booking engine which will allow you to accept payments based on the rates and fees you specify. OneRooftop is integrated with Stripe, which includes a gateway and merchant account staring at a low rate at 2.5% + $0.30 per transaction. No monthly fee!